One of my favorite features is that the stroller is so high which means I'm not bending over too far to pick up my baby. It's also great if you're at a restaurant (all material on the stroller is washable) because you don't need to get a high chair. It's just all around great quality and super stylish. I bought this stroller for my cousin's newborn. She loves it! It is very trendy and eye-catching and sturdy. The size is on the bigger side (it takes up all her trunk space). So if you have a compact car, research the dimensions to make sure it fits into your car. I like this product very much. Albee provided the best price. I used this twice. The wheels are smooth and I love the design. I'm giving 2 stars just for disign and the rest is not convenient ( First of all wheels are not easy to turn and one big wheel came from manufactury diffective. It drives as eight instead of straight. Second problem is a bassinet. It's small and strange shape. My baby needs to hold open his legs for having enough space. Because they have a divider in the middle off stroller on legs' side. The bassinet goes down on baby's head side. Because of this my baby screams in the stroller. Finally the inconvenient small storage bag. More practical than it seems! I bought the Xplorry because I loved the way it looked. I knew I was giving up on practicality - doesn't fold easily, not much storage space, etc - but bought it anyway. It's four months now and I'm glad to say I was wrong. The pouch in front holds plenty of stuff and although it took some time, folding became quite easy for me. Also, the quality is really superb. Even under a lot of weight from bags, the handle still works like new, the wheels are still perfect, and it feels so sturdy! Thank you Stokke! This strollers is very light to handle. I'm in love with it. Very easy to manage. This strollers is very light to handle. Im in love with it. Very easy to manage. The smoothest ride, and definite head turner when out and about with the babe. I researched dozens of different strollers and car carrier seats and I'm glad I chose Stokke for my baby boy. 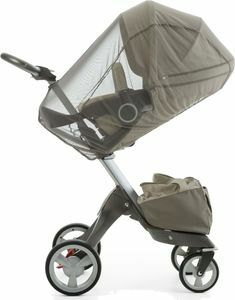 I have the Stokke Xplory stroller in black melange and the Stokke Pippa Nuna car seat. I can't even begin to tell you how convenient and easier my life is just taking the carrier onto the stroller base. Such a great investment for my son and I recommend this travel system to everyone. The design itself is fabulous and I get compliments on it every where we go. I love how your baby is elevated and facing you so you van have extra bonding. I truly love Stokke! So comfortable for the Baby! I love everything about this stroller. 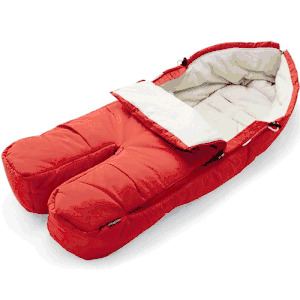 I bought the carry cot extra and my little one loves it and takes some great naps on our walks outside. Even if it's cold, I feel like she is so warm and cozy in it. The stroller is really nice and light, it's a little confusing first how to work with the stroller but after a few try's it good. I can't wait to use this stroller for our baby girl. This is an unique & beautiful stroller! We are in love! can't wait for our baby to arrive. 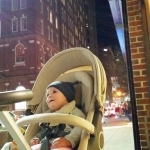 I love the stroller it is super smooth and my baby loves it as well the only problem is that when you close it and actually still is very big it fits and that wrong but it takes more space in the trunk. I would definitely recommend this stroller but probably either for event or a minivan this way you have a little more room in the trunk for other stuff. We started to used the stroller about 16 weeks ago and we are sending it for repair already ... 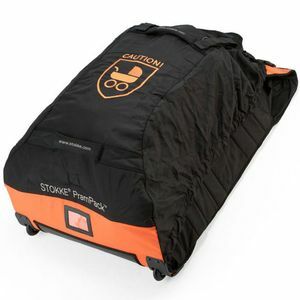 Being one of the most expensive strollers sold at this moment I wanted to believe that quality and customer satisfaction was going to be outstanding but I am very disappointed. this is our second xplory. this has more easier adjustment same awesome feel as all the stoke products. if you like your older xplory this is just better at everything like folding, materials, fabrics, ride along board, product bag. just amazing stroller. We purchased this stroller about 3 months ago and it has completely transformed our walking experience. Our baby loves to look at his parents while he strolls. Our previous stroller was good quality, but faced outwards only. Our baby would only tolerate that riding position for about 20 minutes. Now we can go to the store, on walks, etc. for hours and our baby enjoys every minute. The stroller is of very high quality and well thought out. 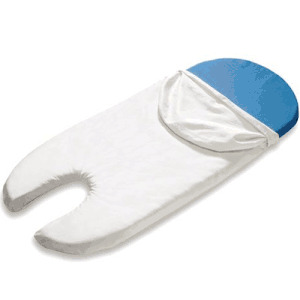 It is exceedingly expensive, but we were not able to find anything similar for less money. We know that we'll get years of use out of this stroller. The added enjoyment of long family outings makes the investment worthwhile. The stroller gets 4 stars. I love the maneuverability of it and the ability to make it more compact. I've run into a repeated issue with trying to get the wheel base to collapse - it's actually quite difficult and at times I haven't been able to get it to collapse. I haven't tried the seat it came with, I've been using the car seat. My little one did not like the cot at all, and cried anytime we tried to put her in it. The instructions are not clear at all. They've provided them in about 7 million languages, but they neglected to include vital information. I've had to take to you tube and the kindness of strangers in order to know how to use most of the features or adjust things. Don't count on the instruction manual for anything helpful. We purchased this because the reviews said it was good to travel with and we were not disappointed. Liked how well it handles in tight areas and how our daughter sits up nice and high and can see everything that is going on. The stroller is good and has great features but not made for the NYC sidewalks. 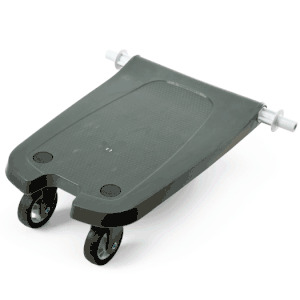 My wheels are beginning get worn out and when we use we / our baby feels every bump on the sidewalk. My 8th month old has been riding in style and receiving compliments from the beginning. I love our stroller and feel it was worth every penny. We've shopped, walked, vacuumed the house, and sat in a clean spot at every restaurant because of our Stokke stroller. The height is unparalleled. 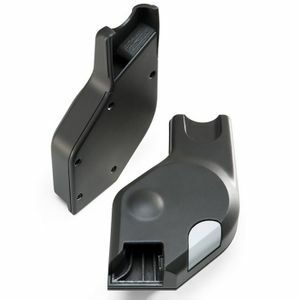 The two attachments for seating offer variety perfect for every age and stage. Our stroller will be in prime condition for eventual baby #2. I choose Beige Melange, a very nice color for both girls and boys. 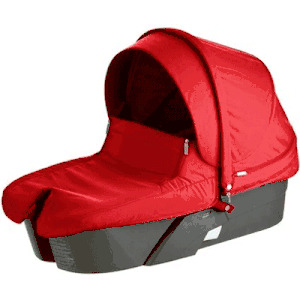 Albee baby provide the Best offer online at price $857 compared with Amazon's $1586. Don't hesitate to buy this beautiful and high and stable stroller for your baby. He/she must love this! I'm a 19 year old dad and this is perfect! 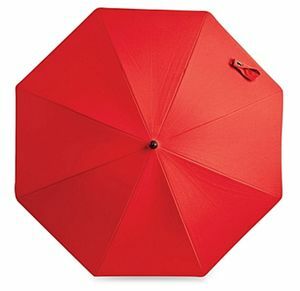 it was a reach with the price (ouch) but my partner and I found that the addition of the umbrella sold us. Great buy. Hands down, my best purchase ever! I absolutely love my Stokke Xplory. Its a very smooth ride. I love the fact that you are able to adjust the seat height as well as the handle height. The design is very sleek. Easy to put together and vice versa. Footrest is adjustable, plus you have a couple add ons you can get like the cup holder and car seat adaptors. Great high end stroller. I love the fact of the height you can use it as a high chair were ever you go and I also love you can use facing forward or backward. I even used it instead of a bassinet for my newborn. I will be the one contrary reviewer here and admit that I dislike the Xplory. The learning curve on the stroller is huge, and for something so expensive, I expect an easier folding process. The amount of room it takes up in a vehicle trunk is ridiculous, and it doesn't do well on uneven terrain (not just off road, it doesn't even jump cracks in sidewalks well). I think if you live strictly in the city and don't ever take the Stokke apart, it might please you, but if you live a more mobile life I don't find it at all practical. And forget air travel with it - I can only imagine the nightmare. Love stokke xplory so much! It's a good stroller. it's easy to install. and the stroller is in pretty good quality! I love it. can't wait using it. LOVE THE STROLLER! SUPER FAST SHIPPING! We bought our Stokke Xplory about 5 and a half years ago. At the time family and friends thought we were crazyafter all it is expensive. But we went ahead and bought it anyway. Our son experiences Down syndrome and uses american sign language as his primary form of communication. This stroller allows us to talk with our child more closely than if he was in a typical stroller and lower to the ground. This being said the stroller is going on it's 6th year of operation and is still in excellent shape. He still fits very comfortably in the stroller and although he is able to walk longer distances now, we bring it along just in case. He LOVES it and we love having him ride up high and able to experience all that the journey has to offer. This stroller is a miracle at restaurants and outdoor cafe's. It is easy to just pull your child up to the table and sink the handle down so that it is out of the way. You will never have to use a restaurant high chair again! All of the material components on the stroller can be washed with gentle detergent and the body of the stroller comes apart and can be cleaned as well. I recommend this stroller to parents of children with special needs as well as typical learners. Every baby, toddler and yes even little kidcan enjoy this. It was the best money we ever spent on baby gear. ProsThis stroller has various positions: Forward or rear facing, recline or upright, high and low hight setting, adjustable handle positions. Everything about this stroller can be custom fit to your needs.It is a sturdy and safe stroller. Very smooth! ConsThis is a very expensive stroller. It does take a little getting used to as far as set up. This stroller will take up your entire trunk if you are driving a standard sized car. It fits fine in an SUV, Van or Truck. Very nice stroller. Captures people's attention wherever we go. The baby loves it. We can feel the high quality of its materials. 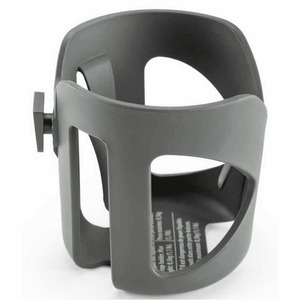 ProsHigh sitting position, very smooth and easy maneuvers, complete accessories list. ConsFolds in at least two pieces. Average weight. 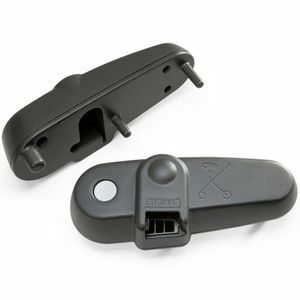 Best UsesGreat for walking around the neighborhood, shopping mall, or anywhere els in the city. Love it! Comfortable, easy to put together and take apart. ProsEasy to put together and take apart, super comfortable (at least my daughter was so relaxed while on it). ConsIt's a little on the heavy side and when you move the seat up or down I had to make sure mu daughters foot was not in the way because I did not want to hurt her if it would get squeezed between the seat and the pole. Love the stroller and the color is great. Can't wait to start using it. My husband likes this color. very nice stroller. I hope my baby likes it. 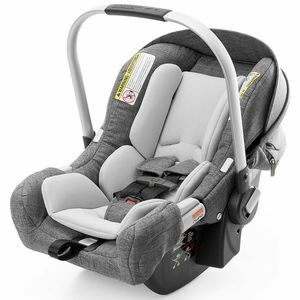 The Xplory is car seat and bassinet compatible, making it suitable for use from birth. The reversible seat can be adjusted to 5 positions: 3 parent facing and 2 forward facing. The adjustable footrest means no dangling feet no matter the age of your child. 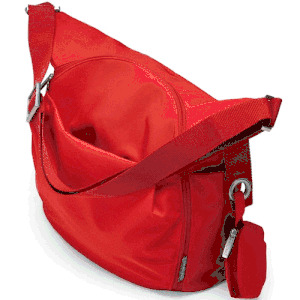 Folds with or without the seat attached, for quick and easy storage. With pioneering seat height adjustability, the iconic Stokke Xplory brings your baby closer promoting interaction while you explore the world together. Thoughtful design makes Stokke Xplory effortless to maneuver, even around the tightest city corners. Front or rear facing, Stokke Xplory provides an almost infinite choice of seating positions. 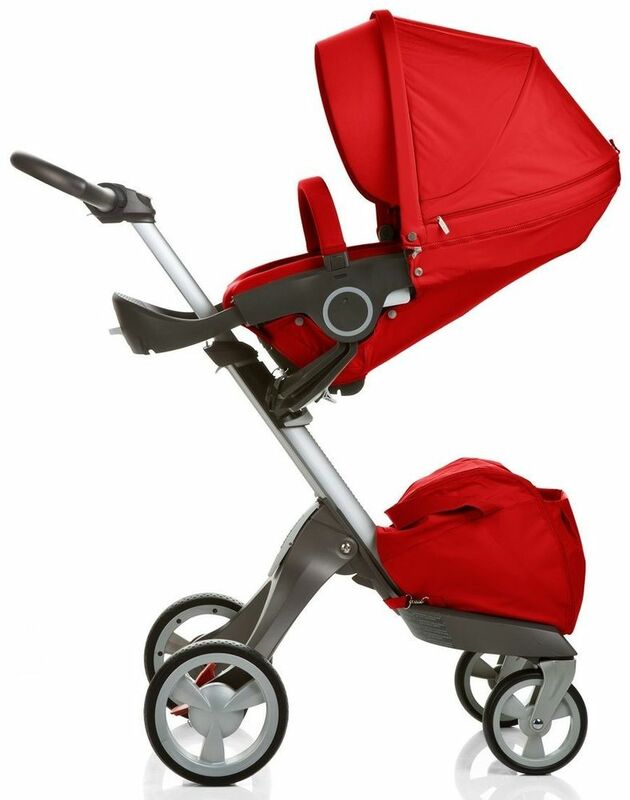 No other stroller brings child and parent together like the Stokke Xplory. Fits all table heights in cafés/restaurants. A chassis with seat and textile sets: Seat Padding, Rear Textile Cover, Harness Protector, Seat Rail Cover and Hood with Visor, Baby Pad, Shopping Bag, Mosquito Net and Rain Cover.